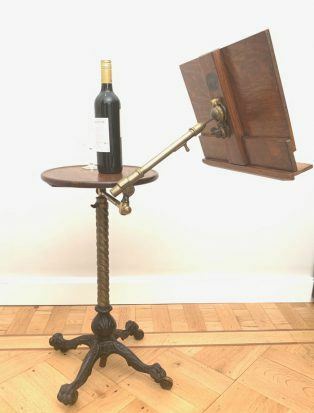 This wonderful Literary Machine /Reading easel is perfect to hold your book or iPad together with a good glass of wine . 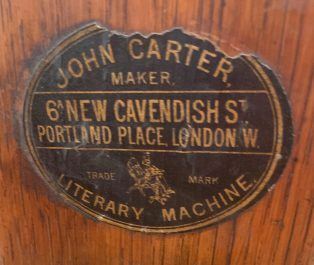 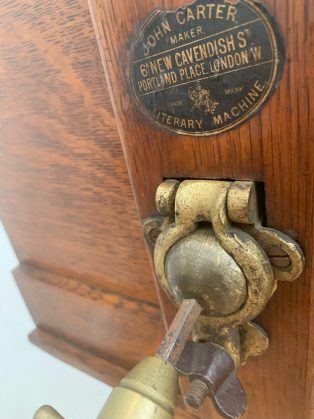 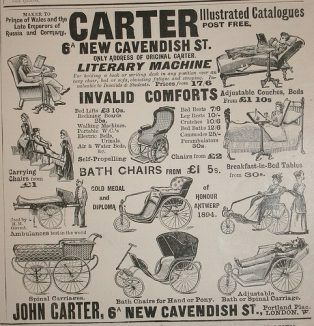 The adjustable Victorian mahogany , cast iron and brass reading table was manufactured in 1900-1905 by J Carters of New Cavendish Street London and retailed by E.P North. 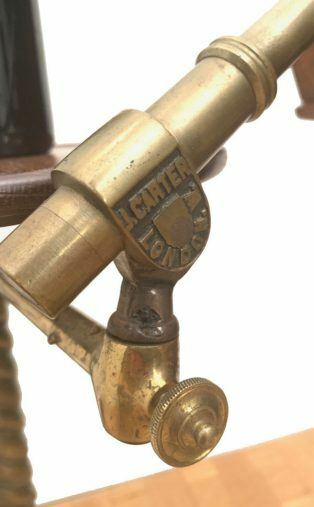 The angle of the top can be adjusted as can the overall height.